Ok so as a newbie in the hobby I'm curious to see what everyone recommends as must have tools/accessories for the hobby? 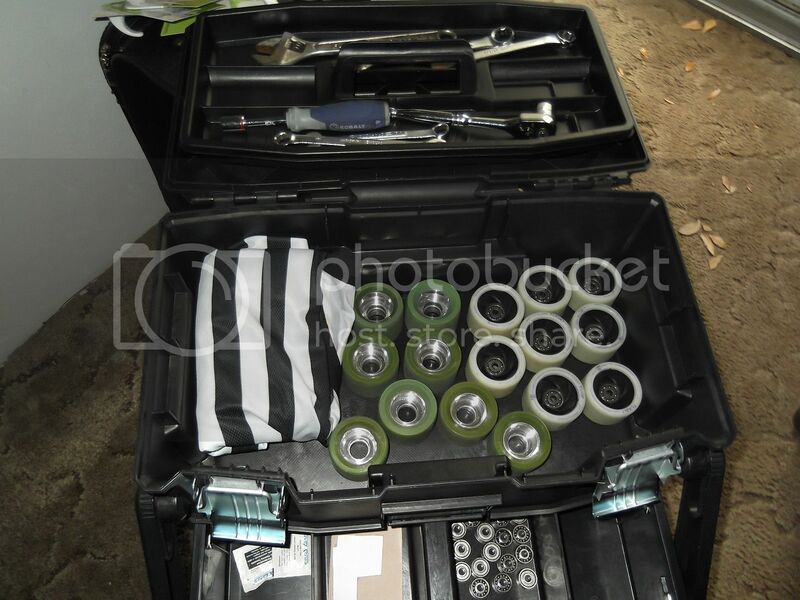 Bearing cleaner kit, Skate tool, bearing pusher thing/puller, etc. what do you recommend. I love getting hands on with my equipment! (I repair and condition antique sewing machines from time to time and love taking them apart, cleaning them, putting them together and seeing them run again! I have a 117 year old machine I refurbed!) 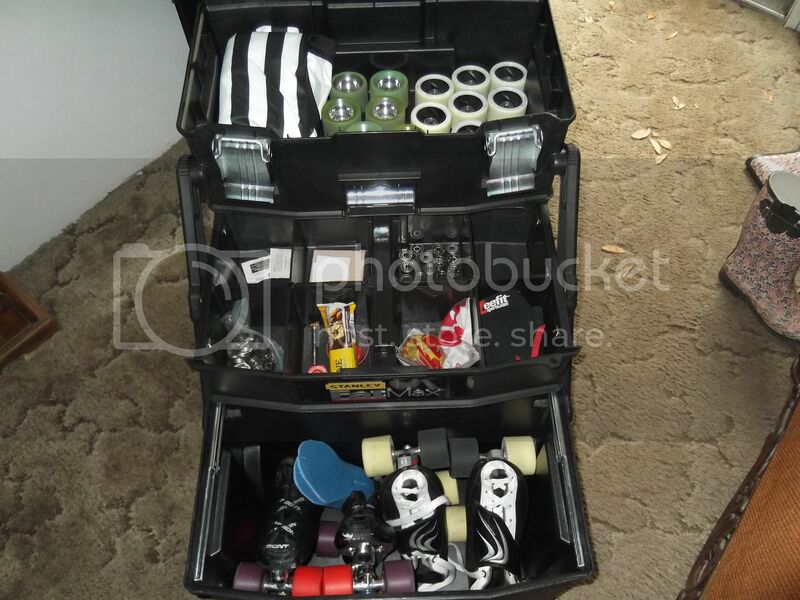 so what is your ultimate skater tool kit! So I can build myself one! (Also feel free to mention some online stuff cause hubs uses those and I can always use gift ideas. XD!) Go! This is the type of bearing press/puller you should get. Depending on your wheels, bearings may be easy or hard to remove. But if/when the going really gets tough, you will need this. Thanks so much! It looks like that site has some good deals. I got my skates (Edea Preludio boots with Variant M plates) about a year ago and just now bought a bunch of stuff to maintain them. They came with wheels with bearings already pressed in. For about a year, I got along with just the skate tools they came with, mostly using the spanner to switch between indoor and outdoor wheels. I bought the outdoor wheels and hand-pressed the bearings. Just now, almost exactly a year later, I felt the need to get some more maintenance stuff, mostly the ability to remove and clean bearings. I ordered a bearing press/puller similar to the one rufusprime99 posted, plus bearing cleaning stuff (they were sold out of what I ordered so they substituted something else so not 100% sure what I'm getting), a set of spare bearings in case any break, and some replacement parts - axle nuts, action nuts, and the locking screw for the action/kingpin, plus different lower cushions just to see how I like the feel of softer ones (DocSk8 recommended this). So yeah, I've been relatively lucky in that I was able to get by for a while without needing much maintenance stuff - if I'd needed to pull bearings in that time, I would have had to find a bearing press/puller to borrow or improvise hand-pulling. If you have any concerns about your ongoing ability to get spare parts for your skates, I'd be cautious and order up, especially if the parts are specific to that plate (axle nuts seem to be pretty universal, but I'm not sure if everything is interchangeable). Oh, and if you're getting artistic skates, get a TON of boot covers. Well, not necessarily all at once, but I seem to tear through them really fast. I'm pretty sure my skates would be one big scuff if I didn't use them! You can usually find people selling them on eBay for a reasonable price, and if you want, order a few at once to save on postage (though that doesn't tend to be exhorbitant, as they're really light). Also, if you sew, you could make your own! Thanks so much. It's next on my list is stuff to take care of my wheels like a bearing press, and bearing washer and stuff. mainly cause I like tinkering with stuff. You will be suprised how easy the bearings come out. Everybody uses different cleaners for bearings. I don't use a plastic cleaning container. I use carb cleaner in aerosol can. Do each one by hand, and spin it dry. It evaporates quicks. It should spin very free if clean. Any noise, or drag it isn't clean. After spinning super free I do a squirt of wd40 just to prevent rust. They can start to rust that fast. After all are clean and have some wd40 on them I add a couple drops of baby oil. Sewing machine oil is good too. Install and rock on.. Vapors are a little strong from the carb cleaner. Also a good idea to where rubber gloves. Quickest, and the best I have used.. There are many methods. Any degreaser will work. Citrus cleaners, etc. just takes longer..
Hey Irene, what I did was find a wrench to fit each and every removable piece of my skate from lock nut to adjuster nut to toe stop (of course yours doesn't have any lol) to mounting screws to whatever. I also carried extra wheels, bearings etc .... Cleaning kits for bearings, wheels, boots and so on ... As for the bearing cleaning kit you can go the Bones kit route or make your own with a small Gatoraide bottle ( or something close to that ). Your sewing machine oil will more than suffice for lubricant for your bearings, just 1 drop per bearing is all thats needed. Get you a bearing puller/press. Its not always needed but there will be times you'll wish you had it when it is needed. Thanks for the info. I prefer a container simply because I am allergic to most cleaners. but I don't mind doing it this way even if it's a little longer. 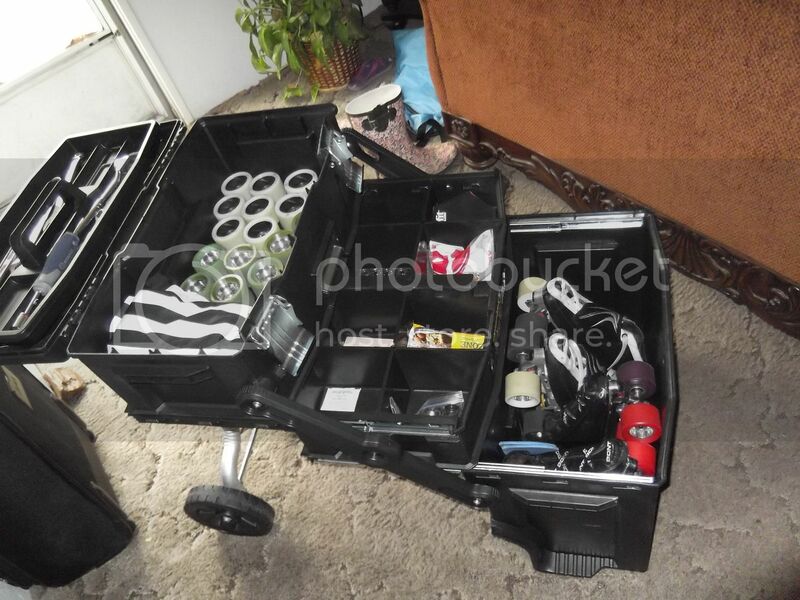 That is a cool rolling case! Probably over kill for me but it's a good option! I can imagine. i like traveling light! even my art shows i struggle to streamline everything so it doesnt weigh a million tons. I've only been skating for about a month, and at first, I was a bit of a gear junkie. I put a bit of investment into my skates, and then I looked around for accessories. Come to find out, all I need are my skates. I went from carrying them in a really nice bag to tying the laces together and carrying them around. For maintenance at home, I have a ton of tools. When I'm at the rink, I can just take it to their rental counter, and they have the tools that I would need. That's what I figured about the counter but when I'm outdoors I need to figure something else out. 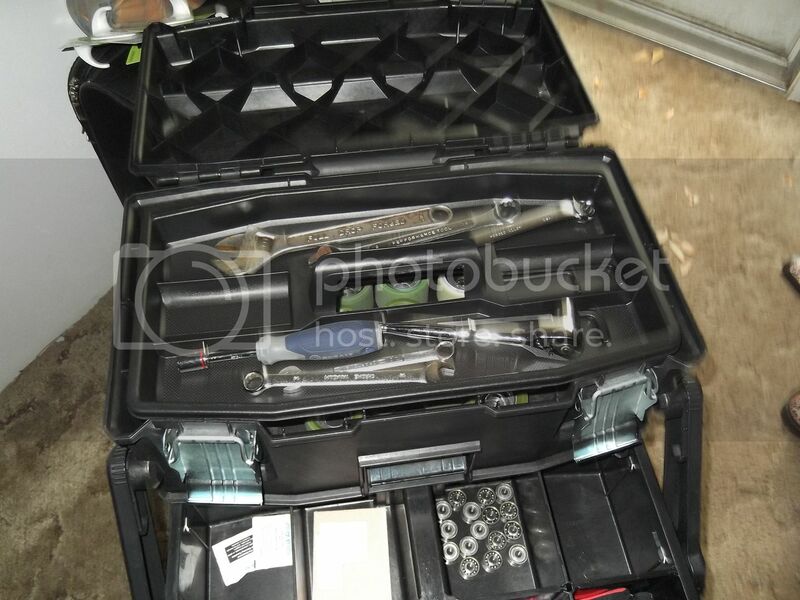 All you need: powerdyne y tool, bones bearing press and locktite. All can be had for under $30 and all are portable. Oh, and don't forget the flask. My skates came with tools for adjusting everything, except the mounting screws (which I will leave up to the professionals! ), so that was nice. Lol! 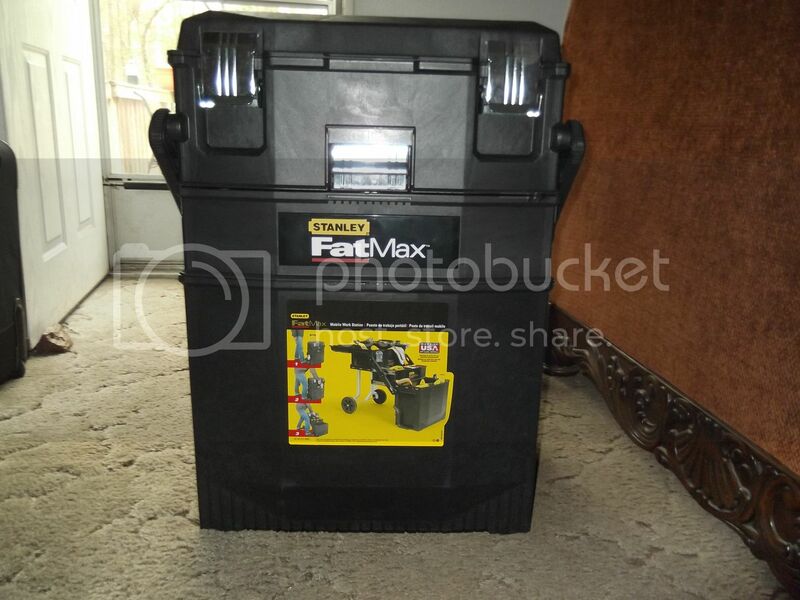 Yeah I got a different tool because they were out of the powerdyne might buy one online and give mine to my hubby. Hahaha and a bearing press and stuff like that. Little at a time right?